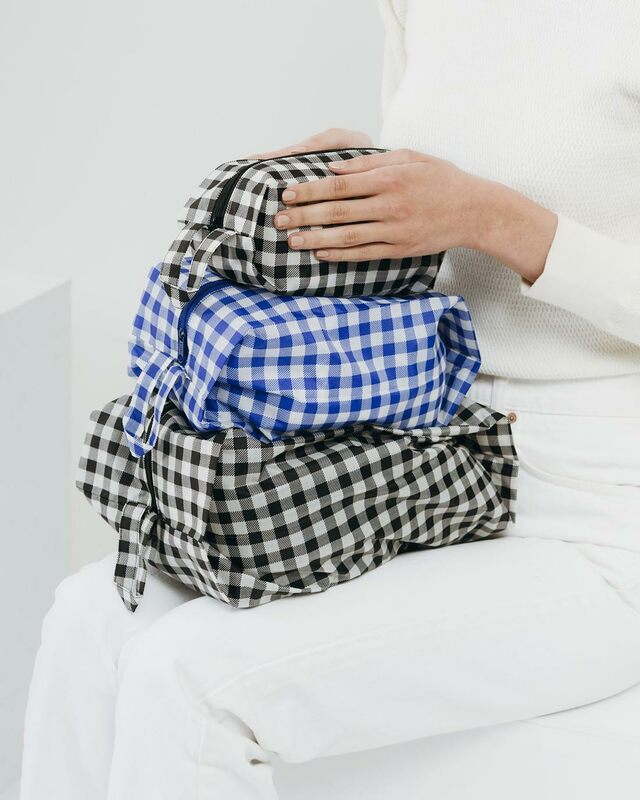 We absolutely love the concept behind Baggu. What’s the most important bag, really? 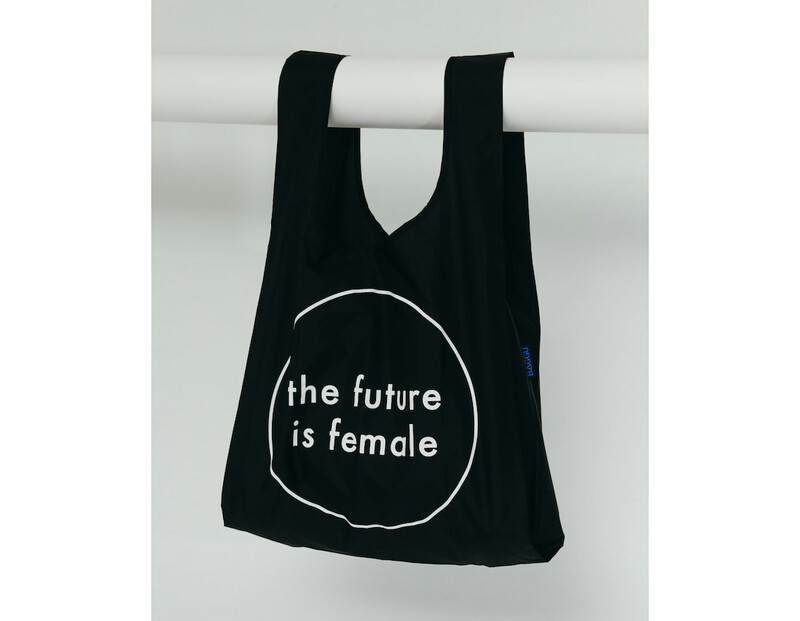 It’s your reusable shopping bags. The ones you use for grocery shopping. 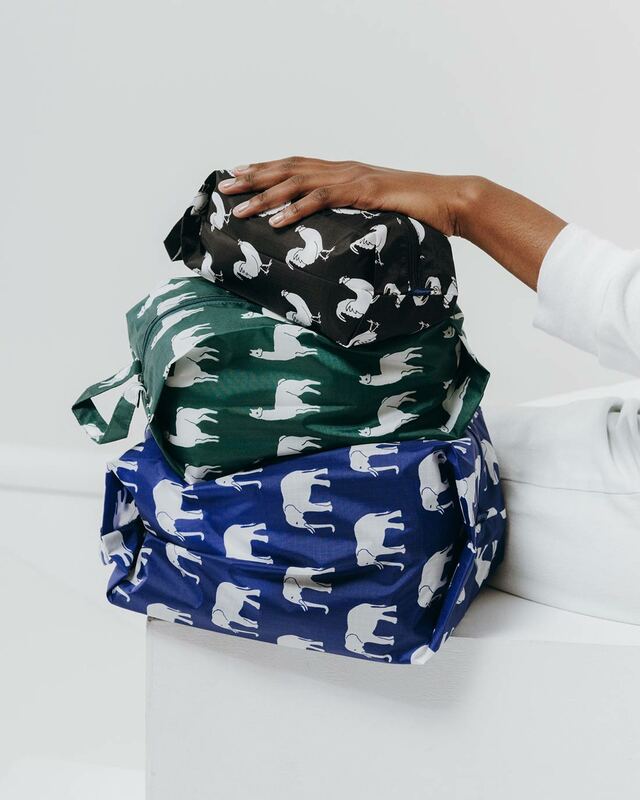 Baggu set out to design the most functional, tough, waterproof and stylish line of reusable bags ever. We make bags that feel good to use. Customers love our bags because you’re able to do good for the planet, and look good while doing it. 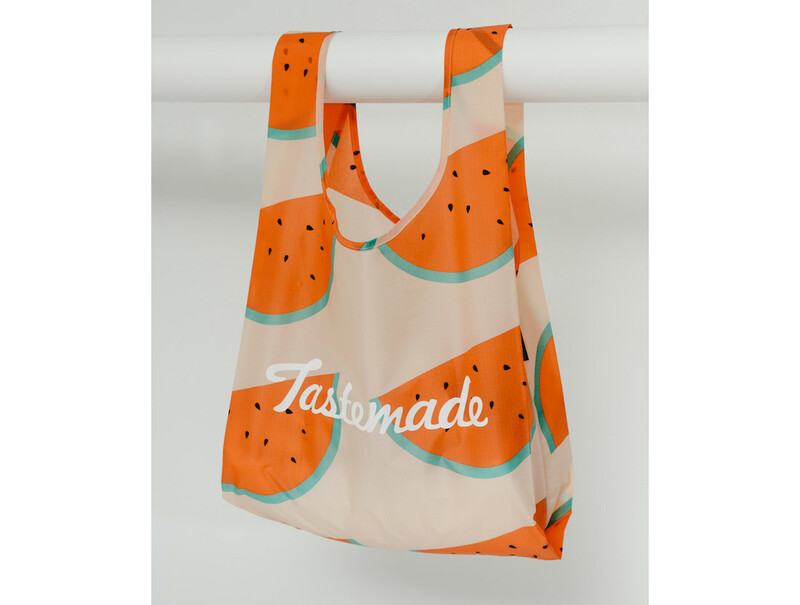 What’s the benefit of having custom Baggu bags made? 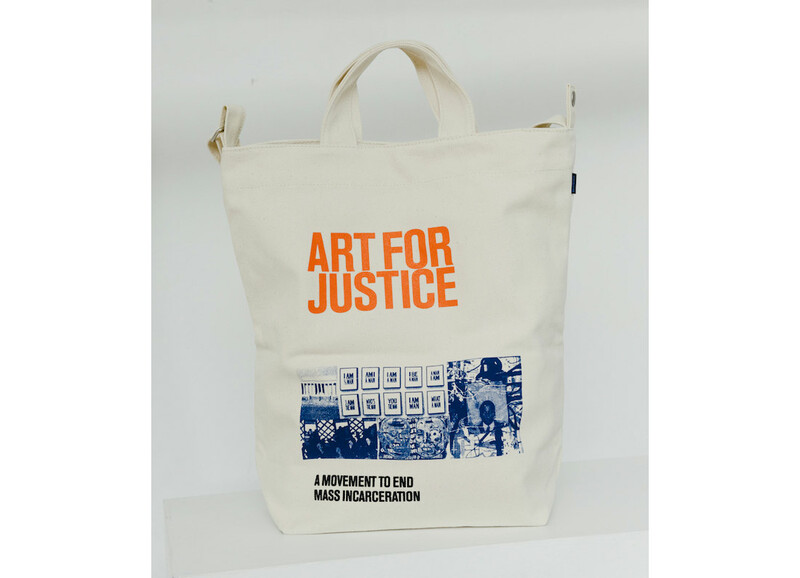 Customizing a Baggu allows you to share your artwork or message on a bag that is well made, delightful to use, and will last for years. You can view some of our clients projects here. 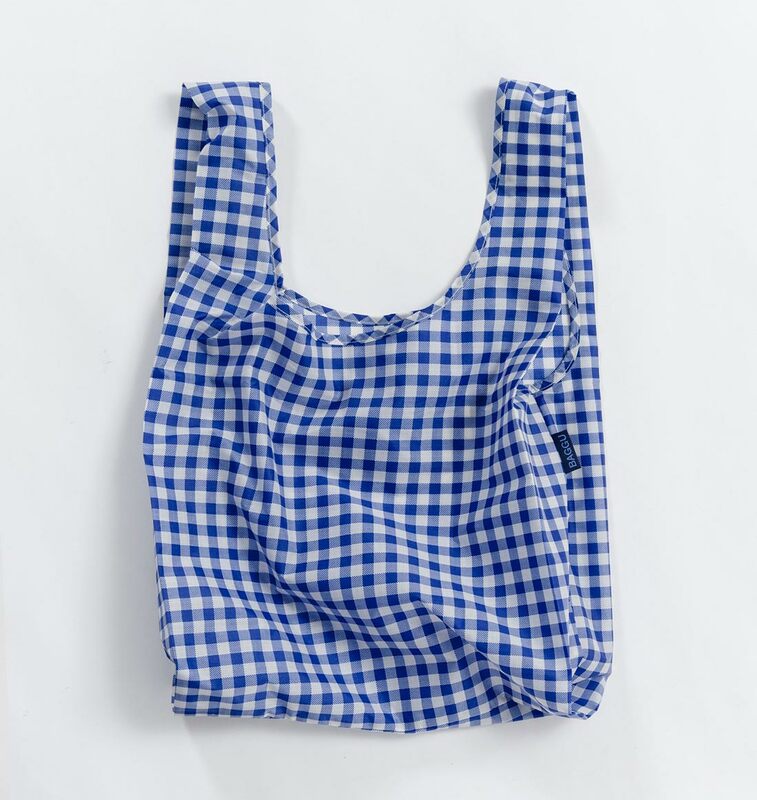 Standard Baggu – Our best selling reusable bag is not just for the grocery store. Carry in your hand or over your shoulder. Holds 2-3 plastic grocery bags worth of stuff. Folds into a flat 5 in. x 5 in. pouch. Holds 50 lbs. 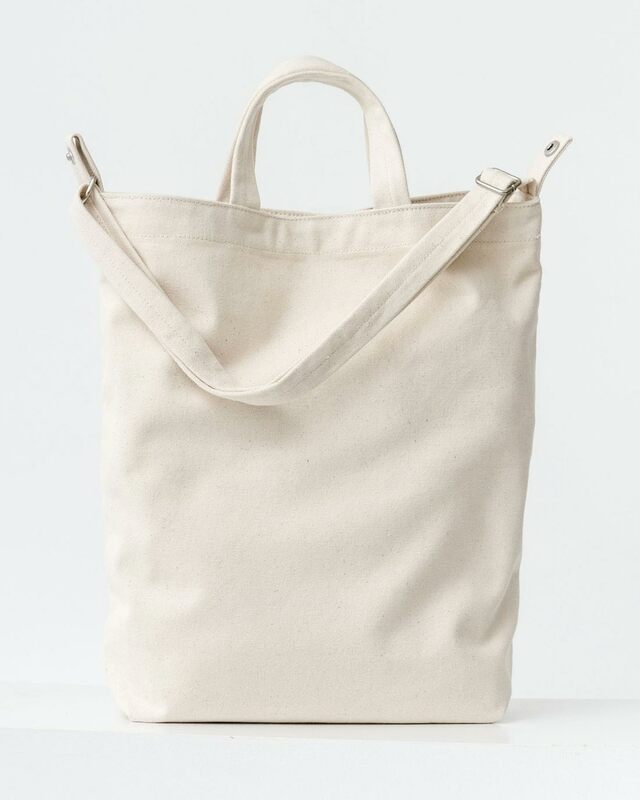 Duck Bag – Our classic everyday canvas tote, updated. Holds a 15 in. MacBook. Larger interior pocket now holds an iPhone 7 Plus. Two handles and 40 in. adjustable strap, to carry in hand or over shoulder. 3D Zip Set – A set of three zippered pouches for travel and organization. 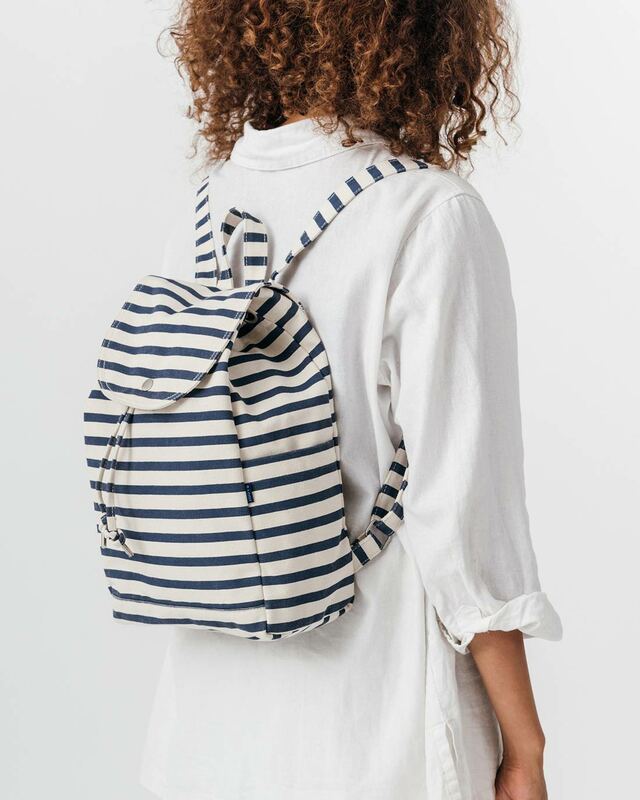 Right now small backpacks are at a revival – all designers are doing the “little back pack”. The great thing about canvas is that it’s light weight compared to leather. Drawstrings are the best for versatility when it comes to packing as much as you can. This horizontal stripe is super cute, especially since horizontal stripes never go out of style and can go with almost anything. I love small/various sized bags for traveling, and for your large tote bag. They give you the ability to pack a small package of things you need (change of clothes for a kid) or can be used to store like-items like make up, toiletries, underwear. 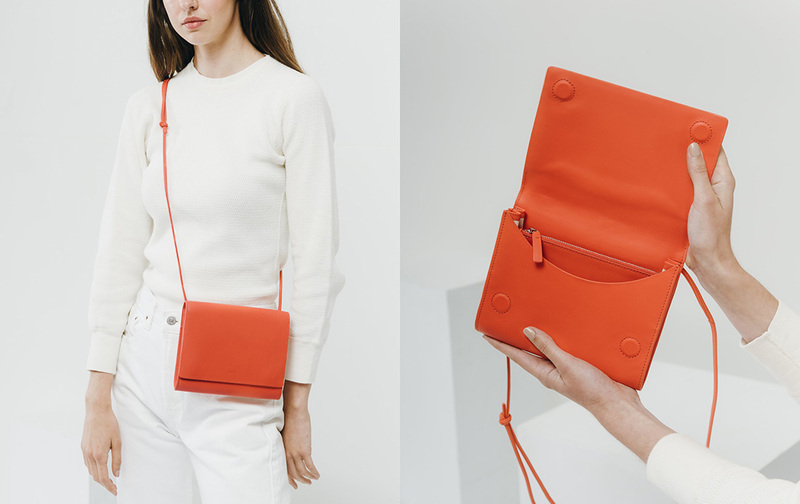 Sometimes all you need is a compact purse to take your essentials and nothing more. Just wallet, keys and phone and 1 lipstick. If you want to be on the go or out on the town for the night, a crossbody compact purse is the perfect item. It also helps if the bag is a standout color like this orange/red. The color can be an accessory to your well put together outfit. My favorite color/pattern combo is red with stripes.